If you have music on your Mac, that’s great, but if you really want to enjoy it outside the house, you’re going to have to transfer it to your iPhone. Follow these 3 methods to transfer music from mac to iPhone and enjoy your music with your iPhone. Perfect for: Everyone who want to transfer any Mac music iPhone without losing any data. Did you know that you can transfer music from mac to iPhone at all? 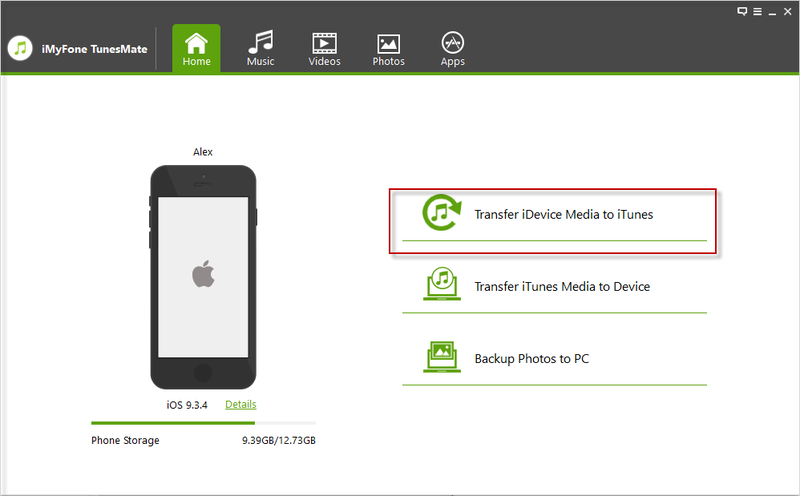 Using an iPhone transfer tool like iMyFone TunesMate , you can directly transfer iPhone music to and from your Mac without iTunes sync. Support all music formats and automatically convert music supported by iPhone. Support purchased and free iPhone music from and to Mac/iTunes. No music files will be deleted while transferring. Step 1: Have your Mac download and install iMyFone TunesMate. Install and open it. Connect your iPhone to Mac with a USB cable. Step 2: Click “Music” where you see the tab at the top. A list of your iPhone songs should come up automatically after this. Step 3: Click “Add > Add File/Folder” button to locate your Mac music. Choose the music you want to transfer and tap “Open” to start the transfer process. By the way, your music files will be automatically converted to a format that your iPhone can use. 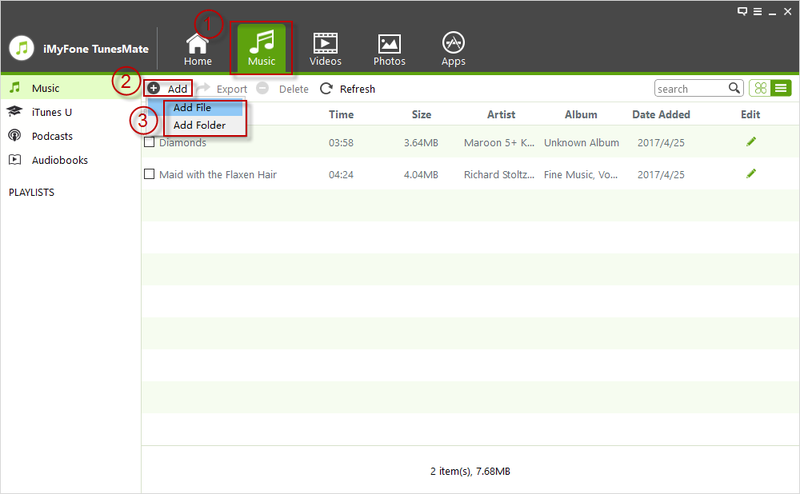 It’s really convenient.Or you can use the drag-and-drop way to transfer music. Just open the music folder on your Mac and directly drag the selected songs to the music window of TunesMate. Perfect for: iPhone users who have much iOS space and have stable Wi-Fi connection. Google Play Music allows you to buy music and store it on the cloud, so this means that you can share it among many devices. However, one major limitation is that you will need an Internet connection and download another app on iPhone to access your songs. Also, you usually have to buy the music. 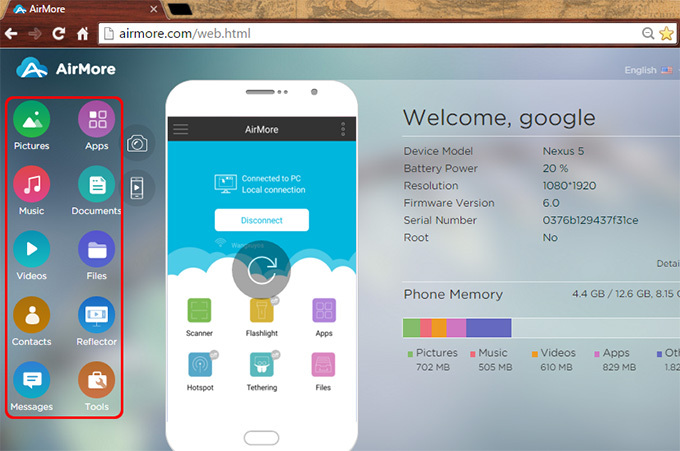 Airmore is a convenient app that lets you connect all of your devices together and transfer files between them wirelessly. Like any other cloud app, though, one huge limitation is that you need to have an Internet connection to use it - it is wireless, after all. Also, it requires a two-step process, since you need to upload the files to the cloud from your Mac, and then download them off the cloud to your iPhone.In contrast, with TunesMate, you can just directly transfer music from your Mac to your iPhone and you don’t need an Internet connection. Perfect for: iPhone users who do not fear to lose songs while transferring. Launch iTunes and connect your iPhone to Mac. On iTunes, make sure you are in "Music" library. Then click "File > Add File to Library" and locate your Mac music. Select the songs you wish to sync and press "Open" to add them to iTunes music library. Click device icon at the upper right corner on iTunes and go to "Music" from the left sidebar. 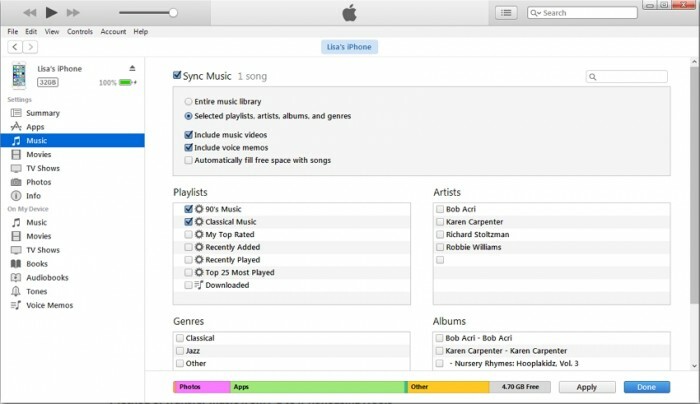 Tick "Sync Music" and choose to sync entire music library or selected songs. Hit "Sync" button to tramsfer music from iTunes library to iPhone. As you might already imagine, there are a few limitations with this. For one, it will erase the previous music on your iPhone. It only supports specific formats, like MP3. You need to convert music first. If your iPhone is synced with another iTunes library, or it is the first time to sync your iPhone music on this Mac, it will erase your iPhone. As a good alternative of iTunes, apart from transferring music from Mac to iPhone, TunesMate also works good in two-way transfer and smart management. Export music to iTunes/computer from unlimited iPhones. Import music collection from iTunes/computer to iPhones even signed in different Apple IDs. Delete unwanted music/video/photos/apps in bulk. It is the free trial. Back up iPhone media to a local library on Mac and enjoy a huge music collection. Edit iPhone music ID3 tags, like artwork, name, artist, etc. Manage music playlists by creating, renaming, adding/removing music.